If you have any questions or want to enquire about dates, use our form to contact Annick Delécheneau or see their website for more information. Woods, fields and giant sequoias surround this historic property on the edge of town. Stroll up to the paddock to find friendly ponies and llamas to pat – Lulu the big house dog is very gentle too. B&B rooms are divided between two long low houses separated by a furnished courtyard: a family suite on one side, two doubles on the other. (One is on the ground-floor, the other under the roof.) Breakfast, served in a pleasant communal room with five tables, includes two kinds of brioche and bread and homemade jams. Walk into pretty Amboise – it takes about 20 minutes. People travel far for its Sunday market, and its château, commanding a spur above the Loire. Leonardo da Vinci visited in 1515 and stayed until his death in 1519; from here, Francois I launched the French Renaissance. Singles €91. Extra bed/sofabed available €26 per person per night. 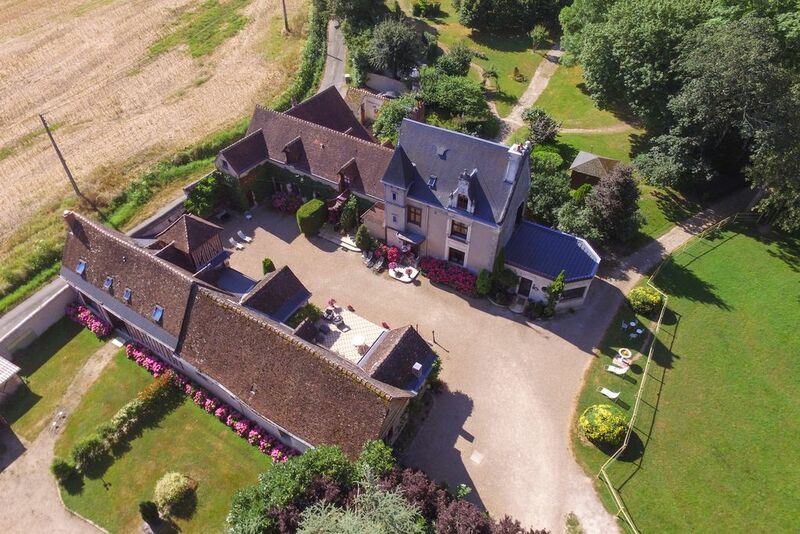 The location on the edge of the chateau town of Amboise, sheltered in the middle of a tall impressive forest, is ideal for visits to all the nearby royal chateaux of the Loire Valley, not to mention the many wine-tasting opportunities. The rooms are comfy and large, unpretentious and practical. Such fun to see horses, goats, llamas in the field. I loved the ancient architecture, beamed ceilings and half-timbered walls so lovingly brought back to life. Bravo to Annick for creating such a haven of peace and country beauty! 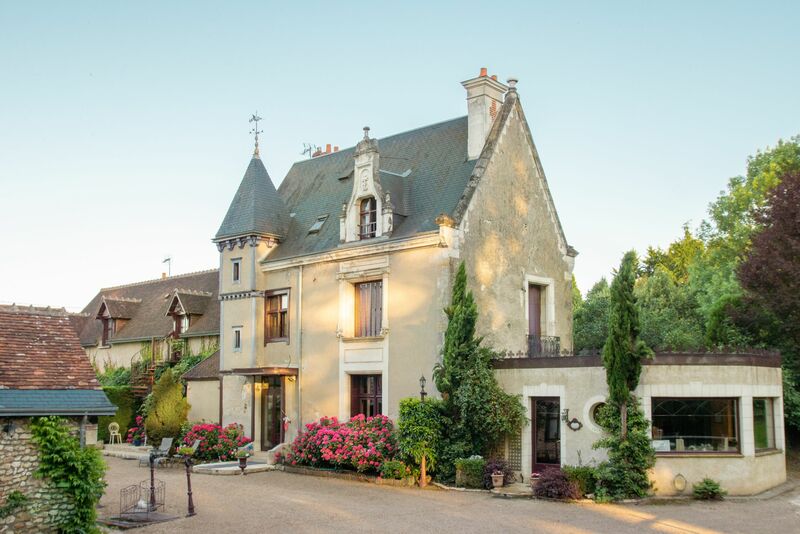 We had been recommended to stay at the Maison Blanch and we were so glad we took the advice. The host was very warm and had great advice about the area (Chez Bruno was a great recommendation!!) The animals were very friendly and provided a very homely feeling. The rooms are very well kept with beautiful cotton sheets (the best I've slept in in France) and were made up beautifully while we are breakfast. This was a really great find, definitely worth staying if you can get a booking! 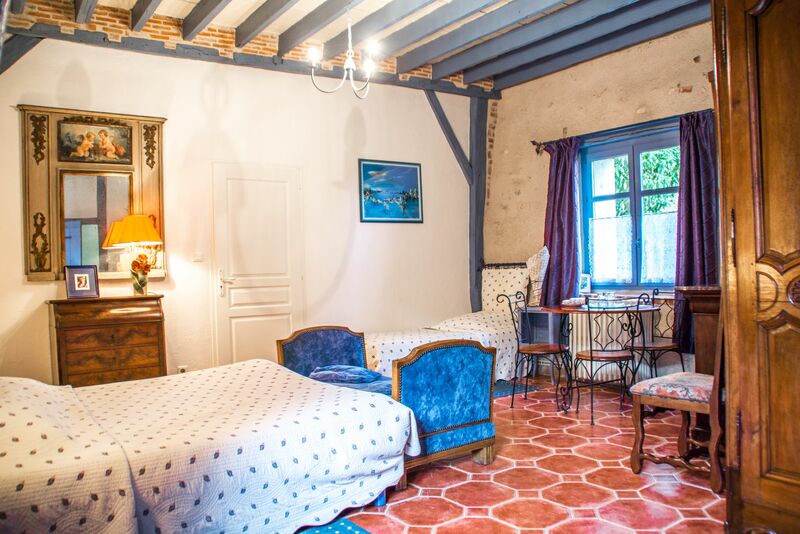 You couldn’t be better located: in the heart of the Loire, on the edge of Amboise. Châteaux abound; Chenonceau, the jewel in the crown, is a 20-minute drive. Make time for the Italian gardens of the Château de Velmer (14km), and the lovely, laid-back city of Tours (26km): explore its cobbled streets and marvellous cathedral, sample its outstanding wines. For a family day out there’s Beaumarchais Wildlife Park (15km); the safari train sounds like fun. The centre of Amboise is within half an hour on foot: you can walk to the famous château built by King François 1er and the Clos Lucé, the house where Leonardo da Vinci lived his last years and died in 1519, now a fascinating Leonardo museum. There are restaurants close to the Manoir or a slightly longer walk into the centre of Amboise. Amboise is in the middle of all the chateaux. Very well located. 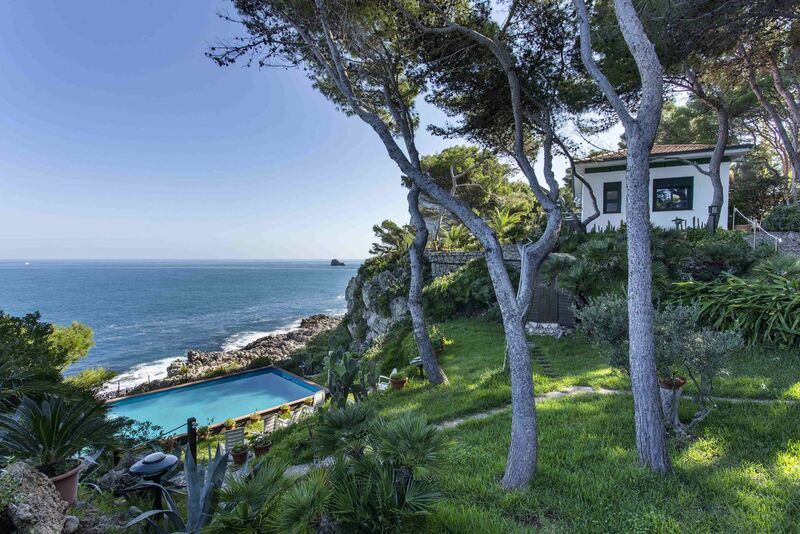 Annick took the property on 20 years ago and painstakingly restored it, and its grounds. Once an au pair in England, she speaks perfect English and particularly enjoys meeting foreign guests. Now the children have flown she looks after several animals: horses, llamas, a goat, a cat, and a gentle giant of a dog, Lulu.